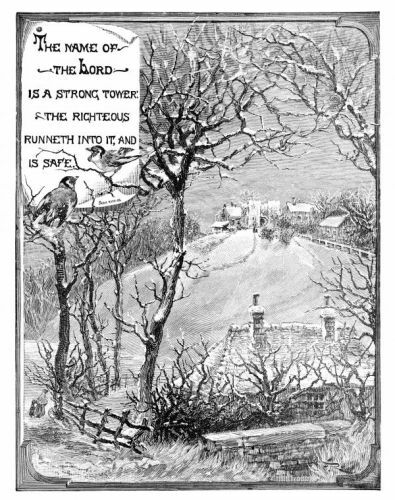 Description: A black and white picture for the Famous Bible Quote- The name of the Lord is a strong tower. The righteous runneth into it, and is safe. Proverbs 18-10.